These checks are fully compatible with ADP Enterprise HR and come with multiple security features to help prevent fraudulent duplication of your checks. 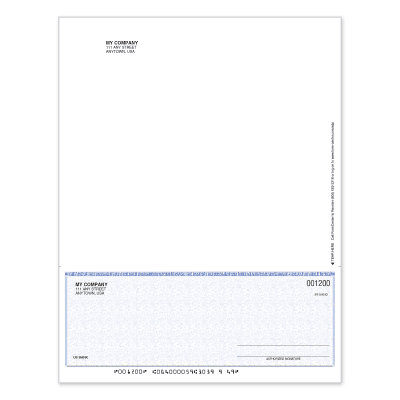 Prices include your company imprint, bank information and your choice of 1 or 2 signature lines (with or without signature line titles), MICR encoding and consecutive numbering in 2 positions in black ink as shown. 10 available color options for you to choose from.